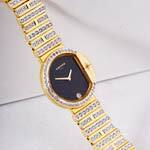 We present an amazing orbit of Studded Gold Jewellery. 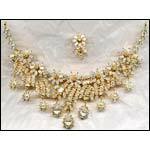 Our collection of studded jewelries like studded bangles, studded bracelets, studded pendent etc. reflect stunning blend of design and pattern. 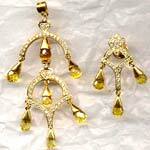 They are skillfully crafted with precious and semi precious stones like diamond, Topaz, Sapphire and so on. 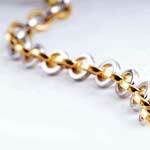 We make them available in 99.9 % pure gold with hallmark quality. 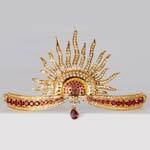 And considering the fact that our studded gold jewelry is the most durable and affordable as well, we are one of the most enterprising studded bracelet manufacturers of the market place. 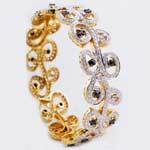 We are also among the most reputed studded bangle suppliers in India.